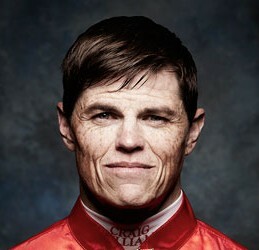 Craig Williams is the ultimate professional who leaves no stone unturned in his preparation. After beginning his career as an apprentice for his father Alan in 1993, Williams spent time riding in the UK, Dubai and then Hong Kong before returning to Australia in 2005 and starting a successful partnership with Hall of Fame trainer David Hayes. A truly globetrotting jockey, Williams has won races at the highest level in Hong Kong, Japan, France, the UK, the UAE and Australia among 39 Group 1 victories. Having won the Caulfield Cup on two occasions, aboard Southern Speed in 2011 and Dunaden in 2012, the Cox Plate on Pinker Pinker in 2011 and the Golden Slipper with Miss Finland in 2006, the Emirates Melbourne Cup is the only ‘major’ missing from Williams’ collection.